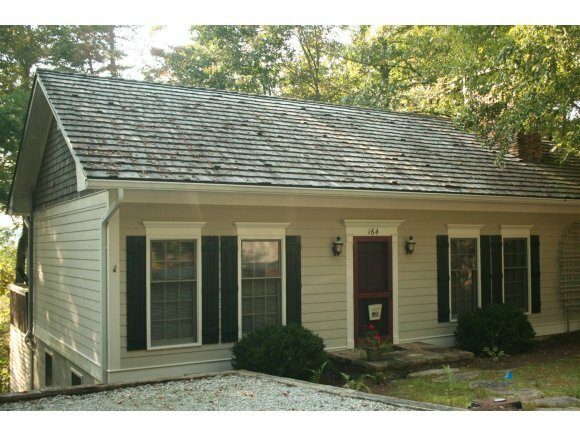 This Highlands NC real estate spotlight is on 164 Wyanoak Drive, a charming cottage with a great deal to offer its new owner. Great views and a wonderful location make this a must-see home. The home comes furnished and is completely turn key. Highlights of this 3 bedroom, 2 bath cottage on Wyanoak include a painted plank vaulted ceiling, wood floors, a large kitchen, a main level master complete with a sitting area, a wood stove in the family room, a game area and so much more. Views of the mountains are merely icing on the cake. This Highlands home offers a feeling of privacy, serenity and comfort. Contact us today to schedule a showing of this wonderful cottage or any other Highlands real estate currently listed for sale. There are a number of fantastic properties currently listed for sale, rates are still low and it is a great time to be a buyer.